​How many fermented herrings do I need? This depends of course on how hungry you are and how many herrings you use per bread. A hungry enthusiast eats somewhere between 6-12 herrings. 1-2 herrings per bread is what people generally eat, and 2-4 breads with surströmming is what most people have room for. 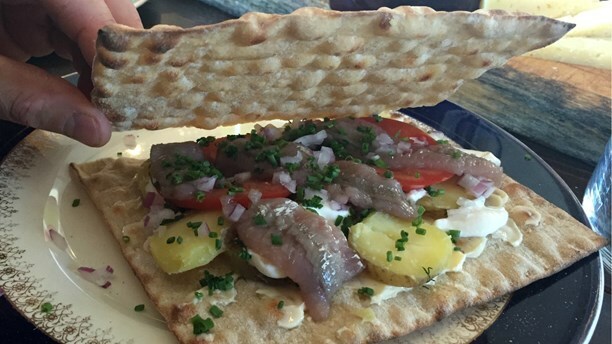 Some people skip the flat bread and just enjoy the fish along with varm potatoes, butter, tomato, chopped red onion and sour creme. Congratulations, you found the hidden & secret surströmming coupon codes!